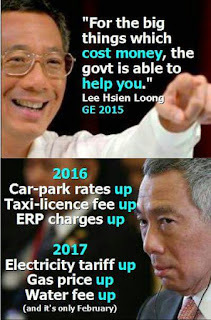 Prime Minister Lee Hsien Loong today (July 3) made multiple lies in his opening speech in Parliament. The truth is, as per Png Eng Huat's speech in Parliament: A reported Poll on 23rd December 2015 showed that 77 per cent of Singaporeans wanted LKY's wishes for the house, to be carried out. Contrary to previous claim saying that DPM Teo Chee Hean created the Ministerial Committee, the truth is, Lee Hsien Loong unwittingly admitted in Parliament today, that he abused his premiership powers on the house and that he was the one initially in-charge of making decisions on the house. The PM also admitted that he was the one who appointed Teo Chee Hean as the chairman of the Ministerial Committee. 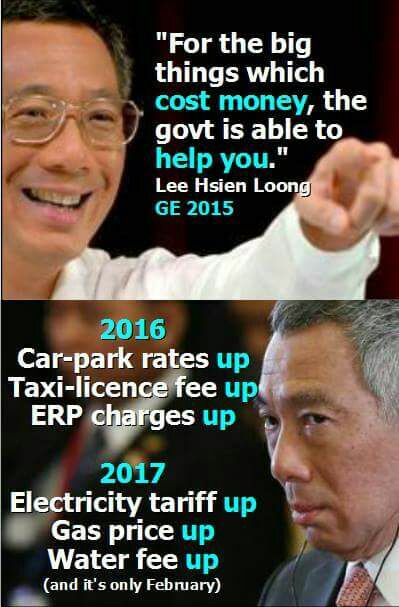 Lee Hsien Loong claimed that he gave away the full value of the house by donating the amount he received, however, he omitted the fact that he deliberately made things difficult for his younger brother by demanding Lee Hsien Yang to pay 50% above market value for his share. Lee Hsien Loong told an open lie claiming that his subordinates are not answerable to him, and claimed his deputy is “fully in charge”. This can only be validated to be possible only if his subordinates are no longer reporting to him, and their performances are not evaluated by him. But this is not the case. 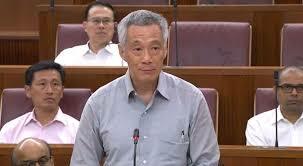 Lee Hsien Loong said that as Prime Minister, he had “every right to see the deed”. The PM then abused the same right to file a lawyer’s letter to his siblings through his personal lawyer. As the son of LKY, he has no right to do so, hence self-admission of abuse of power of Prime Minister. “As Prime Minister, I had every right to see it. After reading the Deed, I became very concerned over what NHB had agreed to… I therefore wrote to my siblings through lawyers to object to what they had done.” This is an admission of conflict of interest. Lee Hsien Loong claimed there is no nepotism in his family and that his wife Ho Ching is Temasek Holdings’ CEO is appointed by the President. However President Tony Tan is a puppet president and his council is appointed by the PM himself. This is very clearly illustrated when we all saw the PM used his power to push for a Malay President in the coming Presidential Election. Actions and words contradict each other. On his son's claim that he is not interested in politics, the truth is Li Hong Yi is now a senior official at the propaganda ministry, Ministry of Communications and Information, which is very much a political machinery of the PAP. “Third, my siblings have made allegations about nepotism, concerning my wife and my son. And that I want 38 Oxley Road kept standing, in order to inherit my father’s credibility and bolster my standing. Hongyi, my son, has publicly said he is not interested in politics. Nor have I pushed him to enter politics. My wife, Ho Ching, is CEO of Temasek Holdings. As CEO, she reports to the Board, chaired by Mr Lim Boon Heng. As a company, Temasek Holdings answers to its shareholder, the Ministry of Finance, under Minister Heng Swee Keat.